How many times do we cry out to God for answers to our problems only to wonder if God hears our cries at all? Often God’s answer is right in front of us, but we fail to see it because we are too busy focusing on the problem instead of focusing on God. That was the case for the woman at the well in John 4. Instead of focusing on Jesus’ promise of living water, the woman focused on the problem that she saw standing between her and the living water: Jesus’ lack of a rope or bucket to draw the water. Her focus on what was not there kept her from seeing Jesus, the living water standing right in front of her. 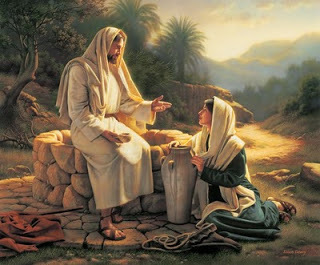 Jesus was patient with the woman and did not give up until she understood that the living water was Him! Her understanding came when she finally took her eyes off the problem and focused her attention on the promise: the living water. It is easy to focus on the problem instead of focusing on our God who is bigger than any problem we can face. My 17 year old daughter serves on the board of her high school’s chapter of the National Honor Society. As a board member, she was chosen to emcee the induction ceremony. Upon finding this out, fear plagued her. She didn’t want to speak at the event. She wanted to pass on this opportunity. Thoughts ran through her head like “I am fearful to speak in front of my class, so how can I speak in front of hundreds of people?” “What if I forget what I’m saying?” “What if my voice shakes?” What if I mess the whole thing up?” “What if people know that I am afraid?” She spent time focusing on her fears and not God’s promises. The more she focused on her fears, the less real God’s promises felt to her and the more afraid she became. However, she decided to focus on God’s promise in 2 Timothy 1:7 instead of her fear. Instead of focusing on her problem (her fear), she began to pray God’s promises. She prayed, I prayed, friends prayed this same promise over her. By praying this promise, she began focusing on the truth before her instead of her fear. She set her eyes on Jesus, not on her fear. On the evening of the ceremony, I approached her to give her my best wishes. She looked at me and said, “Mom, I’m not afraid” and she wasn’t. She went on stage in front of hundreds of people and spoke. There was no fear in her. She did an amazing job! She and I both give all the glory to God because we know that only He could eliminate this deep rooted fear in her. He is the living water. What promises have you prayed or declared? I would love to hear from you. I wrote this some time ago but have it on my heart to repost because we ALL need to be reminded that no matter what we have done in the past, no matter what we are doing now, there is no condemnation in Christ. We don’t have to have it all together before we come to Christ – He will meet us right where we are at. No matter what our circumstances are, we can bring it to Him with confidence that He will not condemn us but He will love us! Technology is what keeps the world moving forward. Without technology, humans would be stuck in a constant cycle of repeating the past; following the same paths as those who came before them. Without technology, the world would fall into a never ending Dark Age. Technology is what connects scientists in Russia to inventors in China. It connects historians in Germany to high school teachers in the United States. It is obvious that technology is crucial in today’s world, but can these high-tech devices become a threat to our society? The answer is yes: if we do not properly control technology then technology will control us. It is difficult for a person living in the 21st century to stay informed, keep in touch, and continue to grow intellectually without allowing technology to control them, but it is not impossible. By setting priorities, using technology effectively, and engaging in life we can control technology. We must prioritize “face to face” conversations with people before “face to screen” conversations. In a world where technology is everywhere we look, it is easy to become overwhelmed by the constant flood of information we encounter on a daily basis. We are bombarded with Twitter notifications, Instagram likes, text messages, missed phone calls, and friend requests. These notifications are not always polite. They interrupt conversations, homework, class, and sleep. One way to control this is by setting priorities. It is important to interact with the people around us rather than constantly checking our cellphones. It may be difficult, but we must resist answering every phone call, text message, and notification that comes our way. 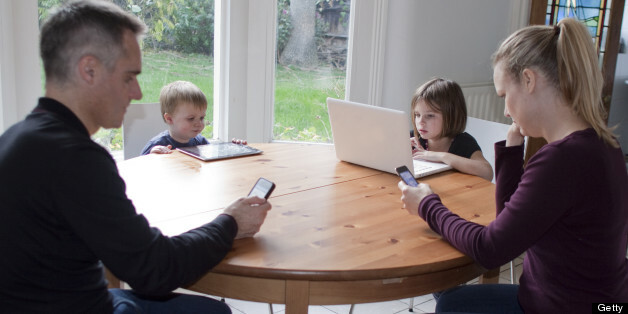 Limiting time with technology allows us to experience “the simplicity and freedom of a life separated from the busy complications of normal life” (Sherman). Ryan Moore, a pastor spent two years in Scotland away from the busyness and chaos of the American life. He said “it was a season of life …when I could be present to my wife and kids in a way that is hard to do in the United States” (Sherman). Brian Hunter, an activist for human rights, ran 1,500 miles across Mongolia to raise awareness for orphans. During this time, Brian and his family lived without technology and the luxuries of every day American life. Ryan Moore and Brian Hunter both agree that taking time away from the busyness provided by technology allowed them to focus on the important things such as family and nature. They were able to interact with people on a more personal level than technology allows for and show us that by using technology in moderation, we are able to focus on what is really important. Another way to control technology is by using it effectively. The word “effective” means to fulfill a specified function. One thing technology is very good at is providing easily accessible information to all people. But without knowing how to use this knowledge effectively we find ourselves drowning in information. This very problem is experienced by scientists and mathematicians all around the world. They find themselves asking “How can humankind, with millions of eager and energetic experimenters and researches all scribbling and publishing like mad, keep its head above the flood waters of information..?” (Jones). We must remember that anyone can post on the internet and that we cannot believe everything we read. If we keep these things in mind, along with learning how to choose reliable resources, then we can effectively use technology to help us to grow intellectually. The final way we can control technology is by not letting it control us. It is a necessity to engage in life. We must not let technology seep into every aspect of our lives. There needs to be a time when we can focus on one thing instead of four or five. Often times we find ourselves doing homework, watching TV, texting our friends, and checking Twitter all at once. This splits our attention between many things and does not allow our full focus to be on any one thing. There also needs to be a time when we can focus on people and our personal relationships; not the people on YouTube or Facebook, but the people right in front of us. Often we will see people, myself included, at a restaurant with their family and one will be texting, one reading an e-book, one checking his/her emails, and one playing Flappy Bird. Technology has taken away our social skills and manners. Ten years ago this would have been socially unacceptable. So when it comes time to engage in life, then we must do just that; engage. Technology is meant to be a means by which we stay informed, keep in touch, and grow intellectually, but if we allow technology to control us then it serves the opposite purpose. Instead of staying informed, we find ourselves missing out. Instead of keeping in touch, we find ourselves putting up barriers. These barriers go by various names, some being Iphone, Android, and Mac. Instead of growing intellectually, we find ourselves becoming confused and misled by information. So the next time you go to pick up your phone just remember; set priorities, use technology effectively, and engage in your surroundings. Back in High School I flirted with running, but it was nothing serious. I don’t remember much about it except the mile was torture. Four laps around the track were four laps too many and the heat and the sweat played havoc with my 80’s hairstyle; it just wasn’t working. Running and I took a break. Never in a million years did I think we would ever get back together. But we did. About ten years ago, I started running, really running. I was so faithful to my running that I would get up most mornings at 5:30 a.m. before work and run. I would never stay up late on Friday nights because I didn’t want to be too tired for my long Saturday morning run. I know, it sounds crazy but running was an enjoyable part of my life. I ran for a long time, but after an injury and then one excuse after another, I all but stopped running. Until recently. I have been focusing on healthy lifestyle choices and taking baby steps. I’ve not had a diet coke since January. For me that is a pretty big deal. You can read more about that in “Me vs. Diet Coke” https://ssolberg6831.wordpress.com/2014/01/23/me-vs-diet-coke/ . I’ve also begun to add more fiber to my diet, I’m drinking more water and yes, I have begun running again. At first, I wasn’t completely convinced that I wanted to run at all. I started off slow. I’ve wanted to quit more than once. But I haven’t quit because I want to honor God with obedience. God desires for me to be healthy; therefore, to be healthy is also my desire. Running for me is a path to healthy living. Running helps improve my health, prevent disease, promote weight loss, boost my confidence, relieve stress and eliminate depression. Running is not only good for my body, it is good for my soul. Does that sound too cliché? Maybe it is, but it is true. Running improves my spiritual health. Not only am I practicing discipline and self-control which honors God, but I’m also getting more alone time with my Maker. As I run, I listen to worship music, I pray, and I contemplate the beauty all around me. Don’t get me wrong, spending quality time with God while I was running was difficult at first. Concentrating on anything other than not dying was nearly impossible. But I have found, the more I focus on God, the less I focus on the discomfort and the less I focus on the discomfort, the less impact the desire to quit has on me. I still haven’t found the same drive that got me up at 5:30 a.m. every day, but I’m certain I’ll get there. So many roadblocks have been thrown in my path: fatigue, pain, excuses, sore muscles, bad weather… But I am learning to persevere despite these roadblocks. If you want to learn more about overcoming roadblocks, I talk about them in https://ssolberg6831.wordpress.com/2014/02/06/me-god-and-a-road-map/. God’s Word has guided me around these roadblocks on many occasions. When I get tired and feel like quitting, I repeat over and over again “I can do all things through Christ who strengthens me” “I can do all things through Christ who strengthens me” “I will run and not grow weary” “I will run and not grow weary” God’s Word always perseveres. It always provides a way. Its always good to have company when starting something new. 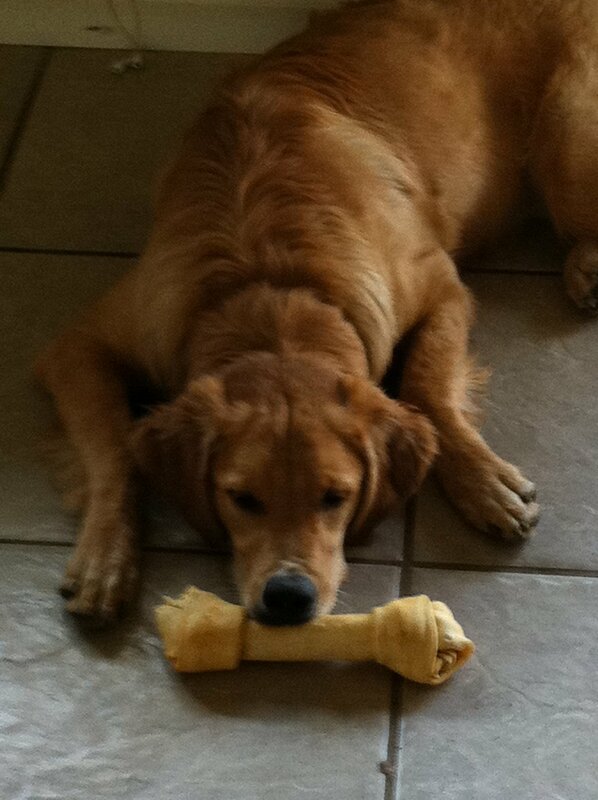 I’m lucky that I’ve had two very faithful running partners: my golden retrievers: Max and Molly. Max is the more seasoned runner as he was my partner years ago. He loves to run. Ask anyone who has chased him down the street after one of his many escape attempts. The dog can run 25 mph to be exact, I’ve timed him. Thankfully, when he runs with me, he keeps my pace. Molly, well that is another story. She loves to run, but she also loves tennis balls. She loves them a lot. A whole lot. Yep, the first time we “ran” by the tennis courts and Molly saw all of those bouncy yellow tennis balls, it was just too much for her. She nearly dragged me head first across the gravel path down the line of courts trying to get those balls. That dog needs some self control. 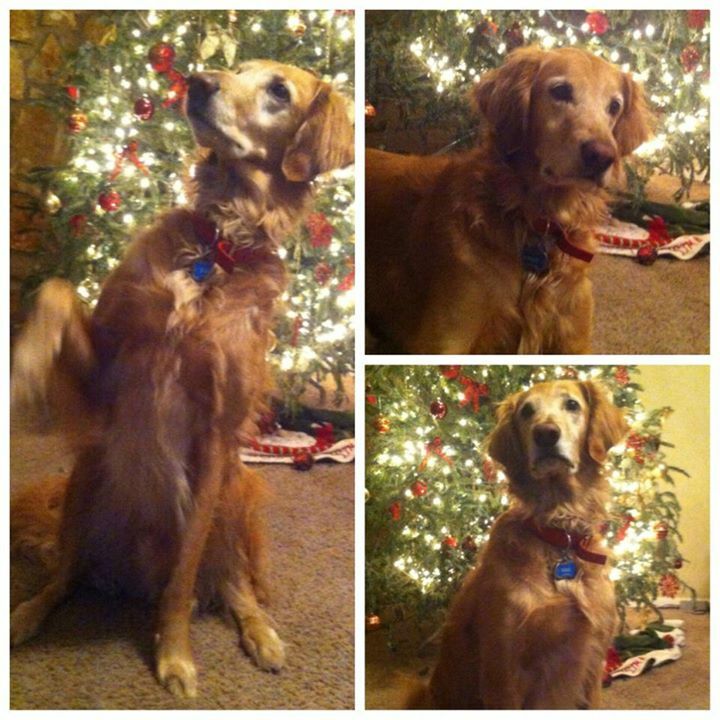 I learned my lesson though: the next time we ran, I remembered her tennis ball obsession and planned accordingly. 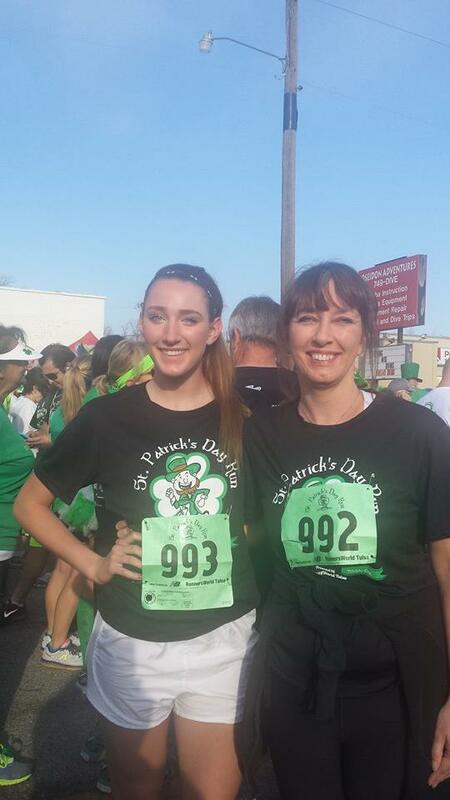 Since beginning to run again, I completed my first 5k last weekend with Alyssa, my youngest of two teenage daughters. Although, we didn’t run together (there is no way I can keep up with her) we enjoyed the event together. The next run my oldest daughter, Madison will join us. It will be a family affair. I remember the first time I convinced my girls to run. They both insisted that running had to be the worst thing ever. But they agreed to run again and then again and then again. Now they both enjoy running. Running is not something that most people enjoy immediately. But I promise if you stick with it, you most likely will grow to love it. I did. They did and you can too. 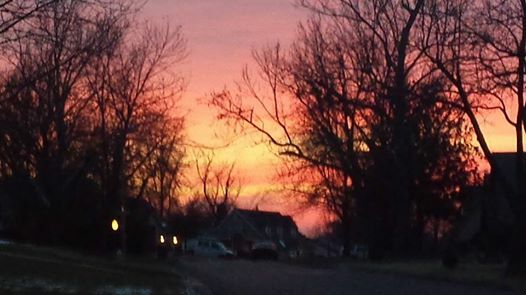 Not too long ago, towards the end of one of my evening runs, I was exhausted and ready to quit, but as I turned west I ran into the most beautiful sunset! I literally stopped and stared in awe! What a beautiful gift from God right there in front of me! Right then, I knew that I would finish this journey, that I would not quit, that I would run and not grow weary. Our God is so good! Both John 1.1 and John 1:14 use the Greek Word logos to refer to Jesus. Logos refers to the total inspired word of God, a complete message. Jesus is God’s complete message to us. Jesus is the visible image of the invisible God (Colossians 1:15a NLT). The same God who created all that we can see and all that we can’t see and the same God that from nothing created all that exists entered the very world He made as a man. He was God incarnate. He took upon himself our humanness and all its frailties. He walked as a man, but He was also God; two natures in one person. He lived among us and we observed Him both as man and God: as a man He was born, He experienced emotions, He hungered and He died; as God He is all knowing, He is everywhere and He is all-powerful. We can see his humanness, but also His glory as the Son of God. His glory was shown not only through His resurrection, but through his doctrines, miracles, transfiguration, and ascension. John 3:16 is the crux of it all. It demonstrates love in its highest form. God loves us so much that despite our sins, despite us turning our backs on Him, He offered His only Son as a living sacrifice. He allowed His Son to die a painful death on the cross as a gift to us without which we were doomed to everlasting death. In order to receive the gift of everlasting life, all we have to do is believe in Jesus: believe that He is the Son of God and believe in His work on the cross. 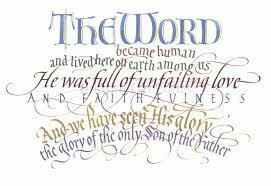 Genesis 1:1, John 1:1, John 1:14 and John 3:16 demonstrate the foundation of the Christian faith. These four short verses are packed with so much meaning and from them fundamental truths permeate. God existed before the beginning of time. God is creator of all things seen and unseen. Jesus was with God at the beginning. Jesus, the Son of God came to earth and became a man, yet He is still God. We see the very image of God through Jesus. God loves us so much that He sacrificed His only Son so that we could live forever. The Bible is God-breathed. It is a treasure chest that when opened overflows with the riches of God’s infinite knowledge and wisdom. 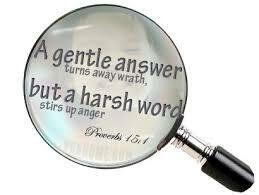 No circumstance or problem in life, no matter how big or small can stand when confronted with God’s Word. When I find myself face to face with a circumstance or challenge, whether it be my own or someone else’s, I need ready access to God’s Word. I need the Word to be on my lips. I need the Word to be on my heart. I need to be able speak the Word over the circumstance or challenge. I need to know the word like the back of my hand. Memorization is good, but I’ve found that to really engrave the verse on my heart, I need to do more than just recall the words, I also need to understand and apply the scripture. I do this through meditating and studying the scripture, but also through writing about what I’ve learned. That’s where this blog comes in. Every other week or so, I will be choosing scriptures, studying them, writing on them and sharing my thoughts here on my blog. This exercise helps to bring the scripture alive and engrave it on my heart. The verses I have chosen for the first week are foundational verses. Understanding these verses is key to understanding God and explaining our beliefs to others. In the beginning God created the heavens and the earth. Now the earth was formless and empty, darkness was over the surface of the deep, and the Spirit of God was moving over the waters. This verse is central to the Christian faith. It shows that God existed before the beginning of time. He was here before creation. He is eternal; He has no beginning and end. At the time God created earth, the earth was not as it is now. It was chaotic and empty. The Holy Spirit was present at the time of creation as shown by Spirit of God moving over the waters. This is important to show that the Holy Spirit, the third person of the trinity had a role in creation. Genesis 1:1 shows that God the Father and the Holy Spirit were active in the creation and John 1:1 shows that Jesus was also present. Jesus is the Word. He existed when there was nothing else; therefore, He was not created. 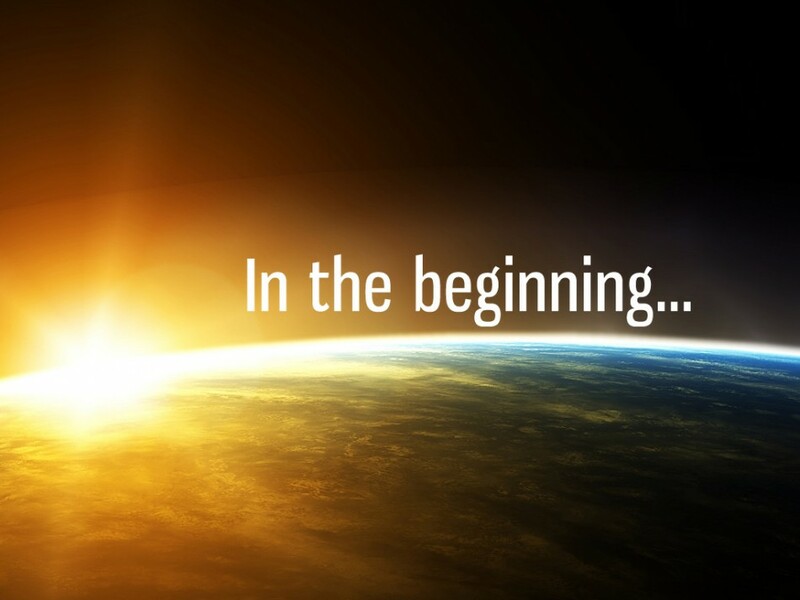 Jesus was with God in the beginning. He was with God and He is God. This is important because this shows that God and Jesus are distinct, but the same. The understanding and belief that Jesus is God, yet still a distinct person is fundamental to Christianity. There is so much to glean from these verses. Just two short verses! Knowing, understanding and being able to explain these verses is paramount in explaining Christianity. 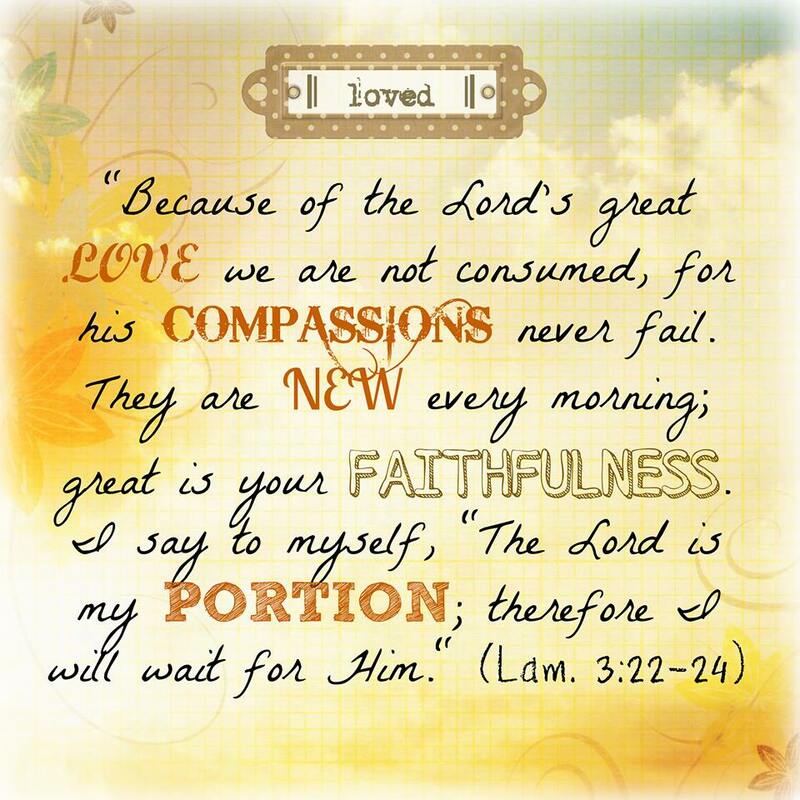 As I read this verse, I was reminded of God’s love, compassion and faithfulness. Some days I need this reminder more than others: days when I wake-up tired because sleep has eluded me the night before or days I’m just tired of encountering the same problems over and over again; always the same seemingly, never ending, never changing problems. 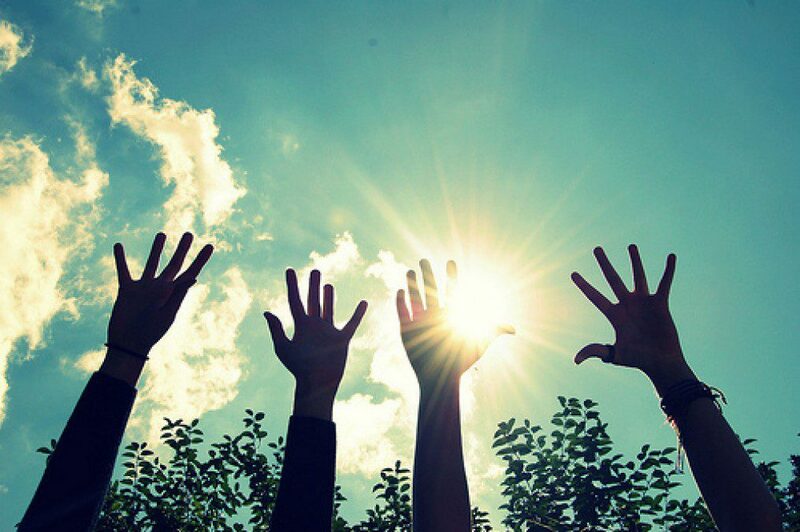 On those days, I just want to throw my hands up in the air and say “WHATEVER”. My whatever attitude takes its toll on me and those around me like a tornado destroying whatever is in its path. Whoever encounters me on a “whatever” day is sure to experience the severity of the storm: hurt feelings tossed over there, harsh words flung over here and tempers swirling around overhead looking for a place to touch down. Then, when all is still, feelings of guilt and shame begin to rain down on me until I am left saturated to the point I can no longer stand, knowing in my heart, I’m not made to do this alone. I can’t do this alone. Doing the only thing left to do, the one thing I should have done when the storm began to form; I call out to my Savior for help and forgiveness. No matter how many times I mess up, no matter how many times I just can’t seem to get it right, no matter the hurt feelings, harsh words and flaring tempers, I put my hope in Him because His Word says His compassions never fail; they are new every morning! I stand before Him forgiven! It’s hard to fathom my sins drowning in His sea of forgetfulness. It’s hard to fathom my mess-ups being cast as far as the east is from the west. And it is even harder to fathom that I stand before Him as though I’ve never sinned. But I do. I stand before Him forgiven because of his scarred hands, because of what He did for me on the cross. He is all I will ever need, He is my portion. Lysa TerKeurst in Made to Crave implores us to “Choose to operate in the REASSURANCE of God’s love, the REMEMBRANCE of God’s grace, and the REALITY of God’s power. How much better would each day be if we could just remember to make this choice every morning before even one toe touches the floor? How much more joy and peace would we have if every morning, at the top of our lungs, we declared something like this? I choose to operate in the REASSURANCE of Your love, father. I know that your love for me is more than I can ever imagine Lord and that You will never leave me or forsake me. God I choose to REMEMBER your grace and I choose to REMEMBER that it is sufficient for me. Lord help me live in the REALITY of Your power that resides in me and know that in my weakness your power is made perfect and rests upon me. If we choose to believe in his great love and that His compassions never fail, to really believe He is our portion, that He is all we will ever need, then those whatever kind of days will be just a dim memory of the past.